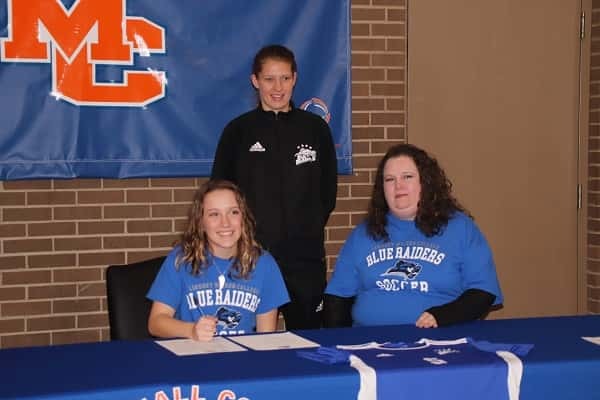 Allison Chancellor signed Thursday to continue her education and soccer career at Lindsey Wilson College. 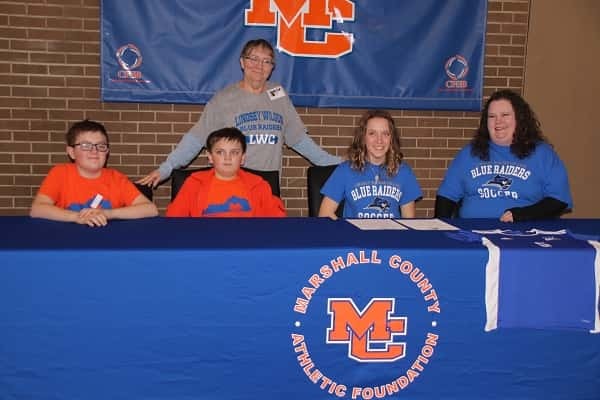 She has contributed on the varsity level since her sophomore year and was a big part of helping the Lady Marshals soccer program win its 18th and 19th regional championship her junior and senior seasons. Allison is a very versatile player who has played multiple attacking and defensive positions. She is also a true student athlete, maintaining above a 4.0 grade point average and earned the nursing assistant certification. She plans to pursue a nursing degree while at Lindsey Wilson. Joining Allison at her signing Thursday, brothers Luke and Cole, her mother Lara and grandmother Dara. 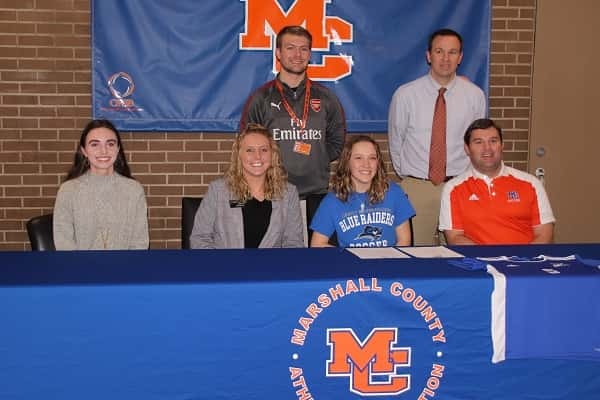 Allison was joined by Marshall County soccer coaches (seated L-R) Erica Jarchow, Savana Smothers, Chancellor, Head Coach Michael Boone. Standing (L-R) Tanner Reed and Andy Pagel. 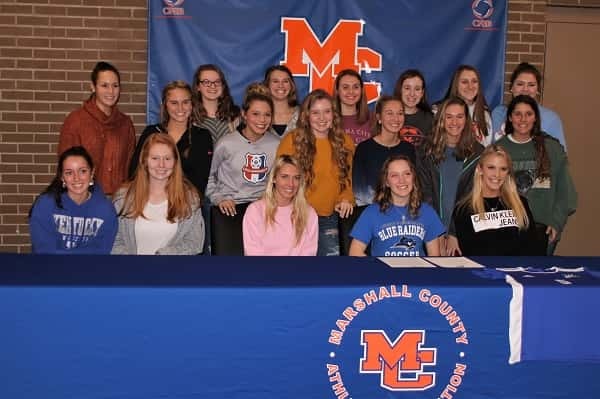 The Lady Marshal soccer team were on hand to support Allison at her signing Thursday at Marshall County High School.